Burzum’s new album “Sol Austan, Mani Vestan” now available for pre-order on clear vinyl. Ships on or around 6/4/2013. Import from the UK. New and never played double LP on clear vinyl. Limited to 1500 copies worldwide. “Sol austan, Mani vestan” is the 11th album from Burzum and a return to a purely electronic and instrumental expression. “Sol austan, Mani vestan” is different from all the older albums, and yet similar to all of them, and is in style more than anything similar to the oldest ambient music of Burzum, like the tracks “Tomhet”, “Han som reiste” and “Channelling the power of Minds into a new God”. “Sol austan, Mani vestan” is inspired by and made for the “ForeBears” movie by Marie Cachet and Varg Vikernes, where much of the Scaldic music from “Sol austan, Mani vestan” appears, only in unmastered form, as a soundtrack. Burzum says of the new album: “Sol austan, Mani vestan” will feature almost an hour of instrumental electronic music, that can best be described as relaxing, slow-paced, contemplative and very much original. And of the concept Burzum says; I have still not been able to leave behind the Pagan religious-spiritual concept of a descent into darkness and the following ascend back into the light; the Pagan initiation, the elevation of man to the divine, the enlightenment of the mind, the feeding of the elven light in man. Ihsahn’s Eremita on grey vinyl and Witchsorrow’s God Curse Us on white vinyl now shipping! Burzum’s new album “Umskiptar” on special edition bronze vinyl is now shipping! “Umskiptar” is the 10th studio album from Burzum, and follows the highly critically acclaimed releases Belus (2010) and Fallen (2011) which put Burzum straight back at the at the top of the chain as of one of the most innovative and creative metal artists of our time. “Umskiptar” is not like any of the older Burzum albums, and yet similar to all of them. More than anything it has been inspired by scaldic poems and ancient folk music, and yet it’s metal, but with Norse lyrics this time all taken from the famous Scandinavian Voluspa poem. “Umskiptar” contains both traditional metal music and more experimental metal music as well as a traditional Burzum introduction and conclusion. 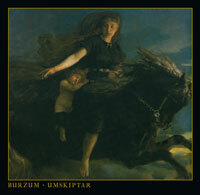 Last Rights Records will be carrying the new Burzum album “Umskiptar” on vinyl. “The “Umskiptar” album is also a return-to-the-roots album for me, with a strong focus on atmosphere and wholeness rather than anything else. The vocals on this one however are more important than on any other album, with a total of 66 stanzas, some of them even repeated a few times, making up the lyrics of the album. The vocals are very important for the special atmosphere and are more important than on any other Burzum album, and more varied too and as honest as it gets”. 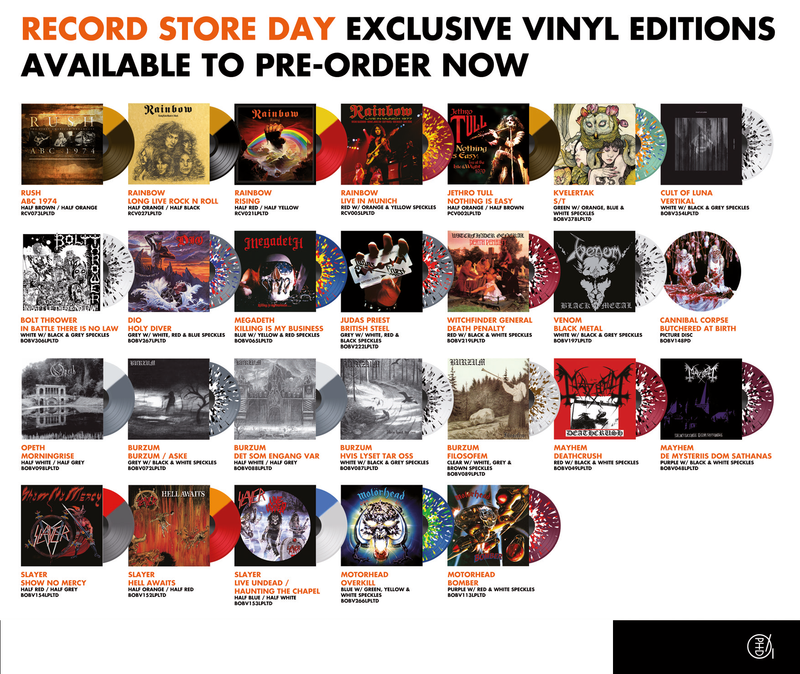 Imported vinyl from Behemoth, Bolt Thrower, Burzum, Dark Tranquillity, Emperor, Meshuggah and Slayer now IN STOCK.